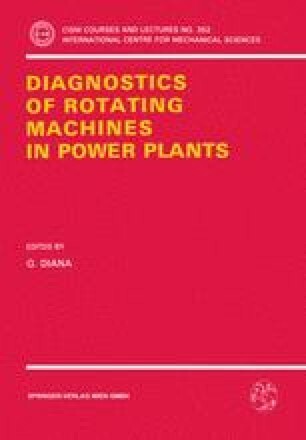 The paper reports the results of an extensive experimental test program for the diagnosis of a transverse crack in a generator rotor of a 320 MW steam power plant. An adequate vibration monitoring equipment was installed on the machine in order to supply the items for the diagnosis of the malfunction. The experimental dynamic behaviour of the rotor in-service and during the off-line tests in the factory was simulated by means of mathematical model of the rotor including the cracked effect: a satisfactory agreement was found with the experimental results. The performed analysis strongly indicated the presence of a crack, which was later found by ultrasonic internal inspection.